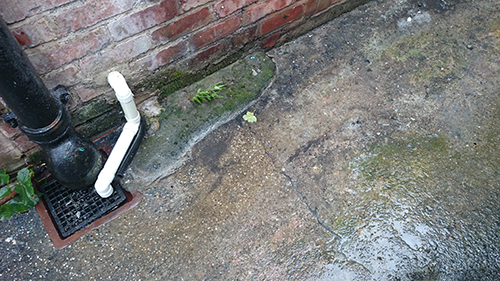 Blocked Drains can be a nightmare Especially if you’re in a place like Avonmouth which is quite isolated and might not be covered by some plumbers or drain unblockers in Bristol. Not to worry though, because your one stop shop for all things blocked. Blocked toilets, blocked drains, blocked pipes? We’ve got what you need and can always be with you within 2 hours and a lot of the time we’ll be even faster than that. We deal with both commercial and domestic drains and if you have a business with a blocked drain and don’t have a regular plumber then look no further. We’ll attend a blockage with minimal disruption to your workplace or home and we’ll never leave a mess behind. You could try and clear a blockage yourself but some of the chemicals used are corrosive and won’t be able to deal with bigger blockages, that’s where we’ll be on hand with the latest in CCTV and High Pressure Water Jetting equipment we’ll be through the toughest of blockages in no time. Our lines are open 24/7 365 days a year so give us a call if you have any questions or you’d like an over the phone no obligation quote in the matter of minutes. One of our friendly staff will always be on hand to help you out.